Loaded with the latest aerodynamic updates, construction methods and materials, the 94" MXS-EXP is the embodiment of the modern aerobatic machine, delivering what we all admire about Extreme Flight aircraft; high alpha stability and grace, award winning precision flight characteristics and mind numbing gyroscopic tumbling capabilities. 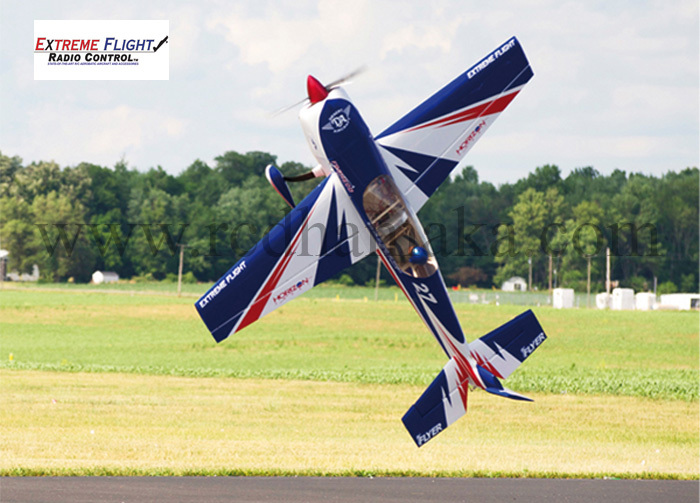 Whether you fly 3D, precision aerobatics or XA, the Extreme Flight MXS-EXP is the machine for you! 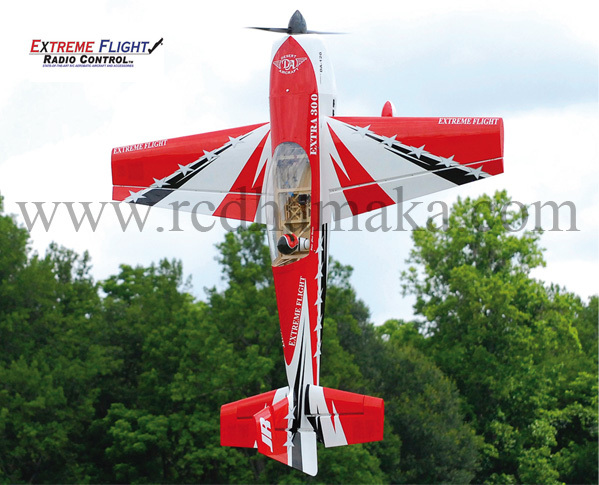 Wringing out the new Extreme Flight 94" MXS EXP at Nall! I had a blast ripping on this thing at the 3D line. 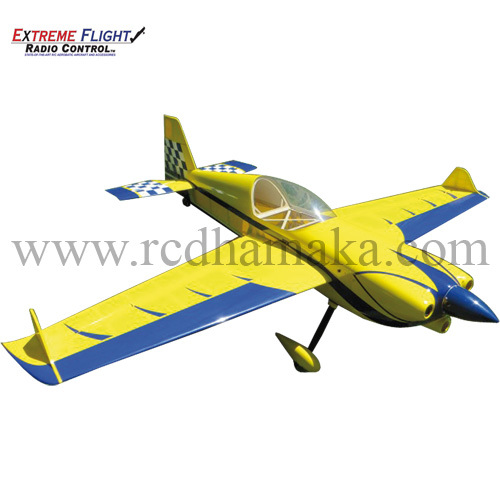 It is powered by the DA-70 which pulls it around with insane power. It is guided by the Spektrum DX-18. 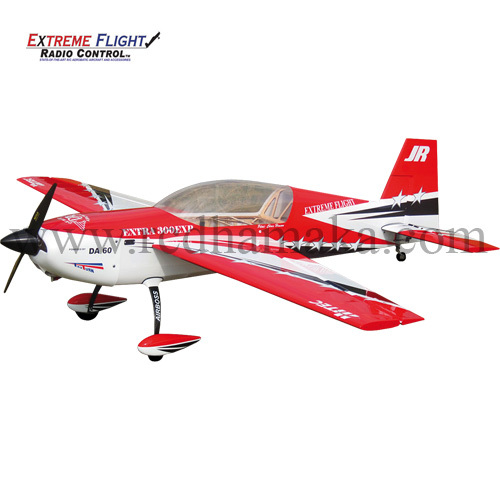 This airplane is one of my favorite 50cc-70cc size airplanes from EF. 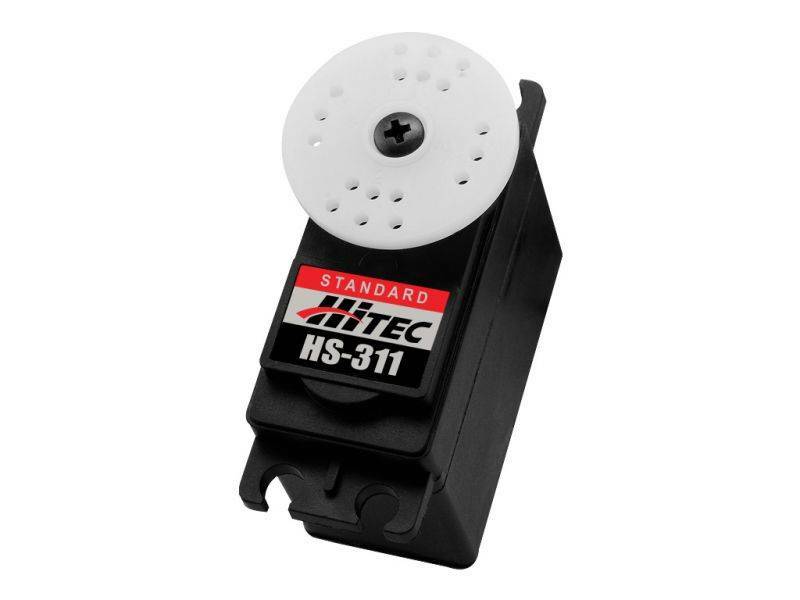 It rolls crazy fast, tracks on rails and snaps amazingly well in precision, and floats around nicely in 3D. This airplane is soon to be released this summer. I believe it is definitely ready and it will tear it up at 3D events everywhere. This is one of my favorites for sure! Enjoy! 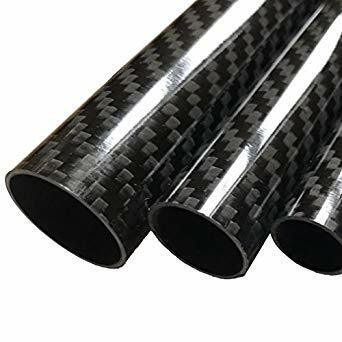 2 x 36" 20 awg for Elevator. NOTE: Use 48" Extensions if you will need to remove the Stabs for transport.